Okay, so... I`m going to Introduce a lot of things first. 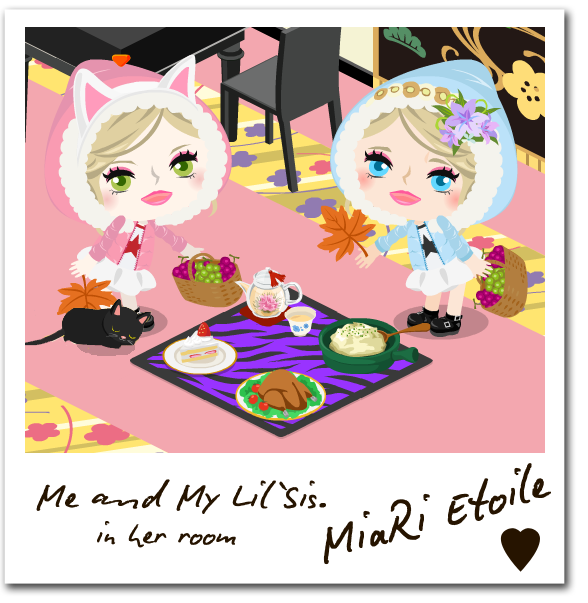 Now, I`m going to introduce to you my Lil` Sis... MiaRi Etoile. I really love her so much! She`s always with me and helps me when she`s not busy. You can also see her in my room beside me and usually in blue. 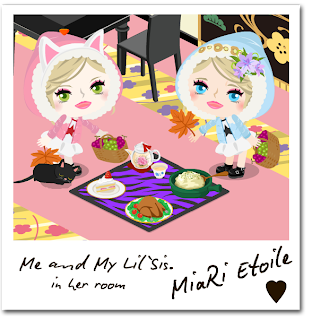 She has a very simple room and I`m helping her to save her gummies for expansion. Here`s my Black Cat, Pure. A Quiet but Friendly cat and now, She`s already 5 months old. She was my first investment using Ameba Gold. Now, she have 8 tricks now and soon we`ll be 9 ←　I can`t wait with that! 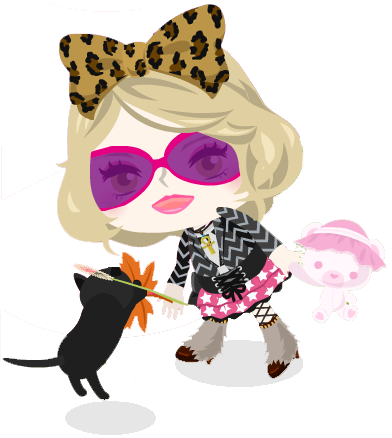 Many people say "Black Cat`s Fortune is Bad luck. But for me, She`s my Lucky Charm.